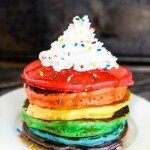 Colorful Rainbow Pancakes are simple to make and will put anyone in a cheery mood! With St. Patrick’s Day right around the corner, I have been seeing tons of rainbow foods popping up all over the place. Pretty much rainbow anything gets me in a good mood, because it’s just so cheery seeing the vibrant colors together! 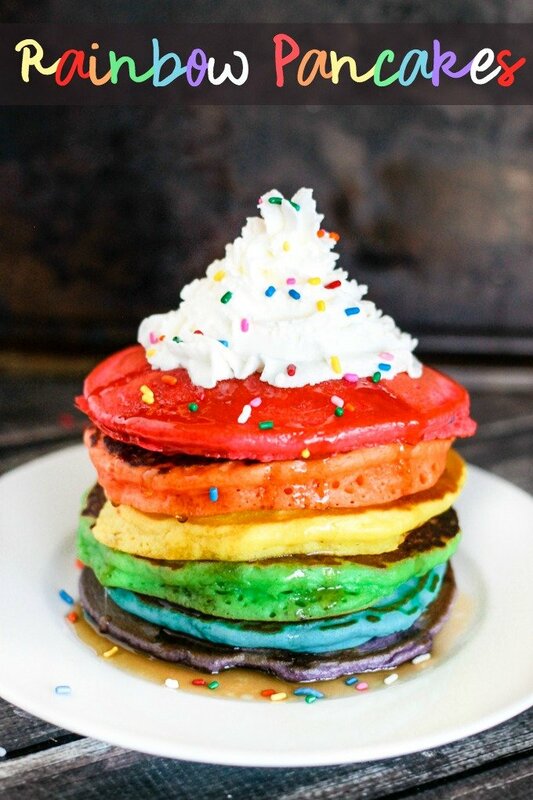 I bet if you make these Rainbow Pancakes for your kids or friends for St. Patrick’s Day, no one will be concerned about finding that pot of gold at the end of the rainbow…they will be too busy digging into this delicious stack of pancakes! I liked adding whipped cream and sprinkles on top of my pancakes, but you could have fun with other toppings as well. Oh, and on’t forget the syrup, too! 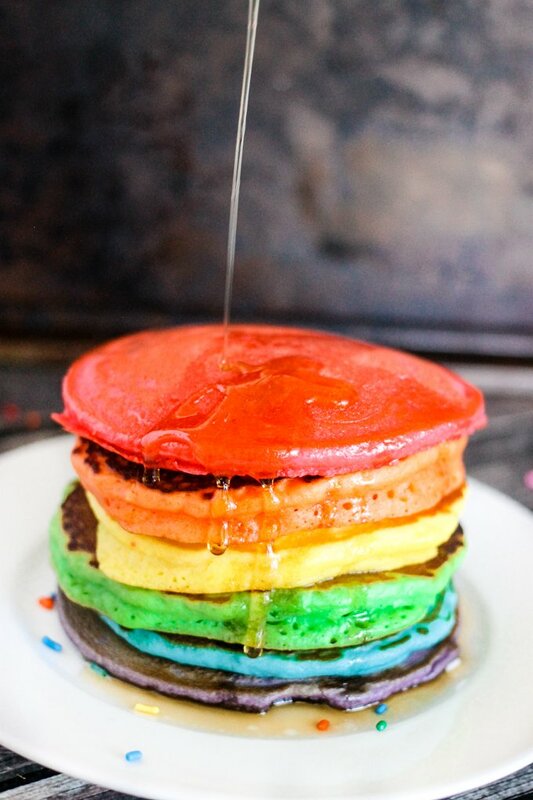 I think using gel food coloring is best for Rainbow Pancakes, because it gives the most vibrant colors, and you only need to use a tiny bit to get those bright colors! I also made a quick how-to video so you can check that out too! If you really want to serve these for St. Patrick’s Day, you could even do like i did and use a Shamrock Cookie Cutter (I bought the biggest one I could find) to make them even cuter! 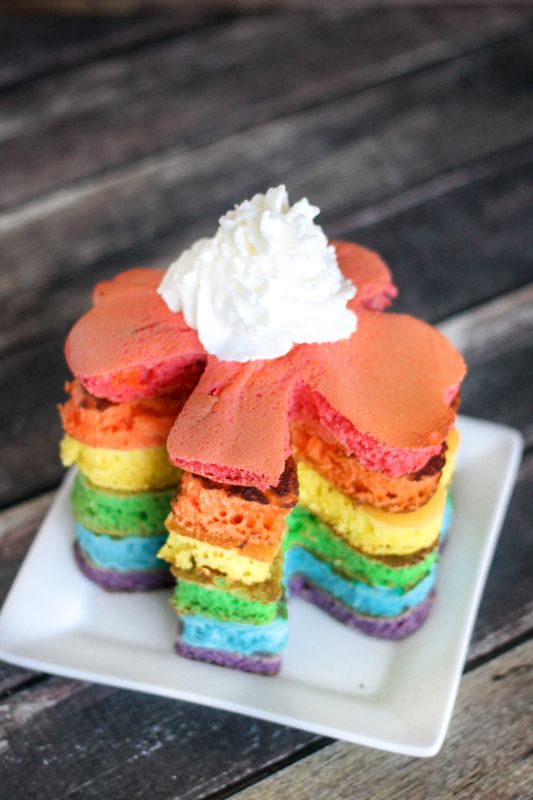 Wondering when and how to serve Rainbow Pancakes? Have a little one with a birthday coming up? 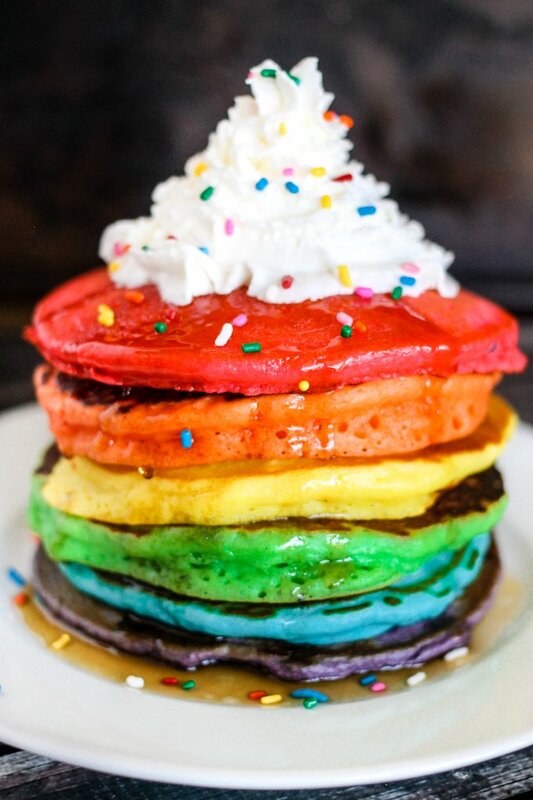 Whip up rainbow pancakes for the special birthday breakfast! Have a little princess? 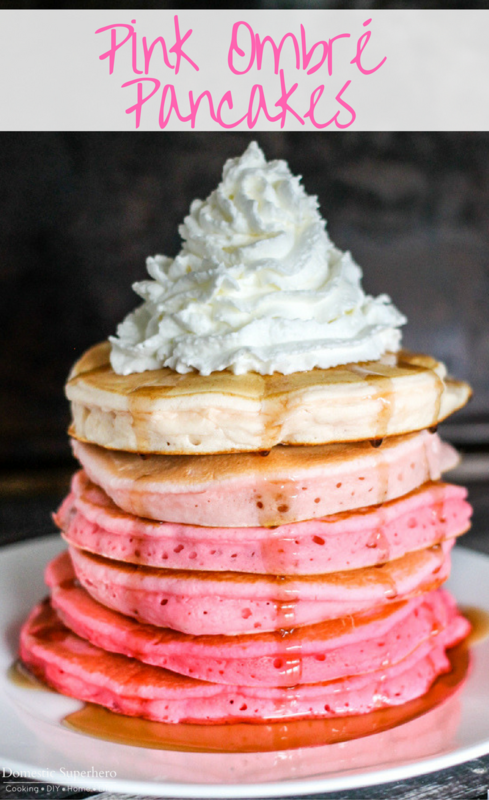 Whip up some Pink Ombre Pancakes instead! 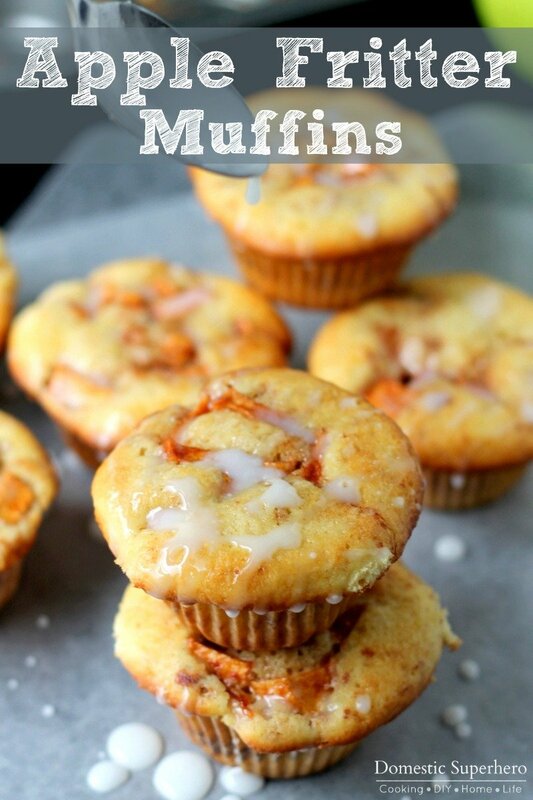 Suggest breakfast for dinner on St. Patrick’s Day, serve up these bad boys next to some bacon and eggs – yum! For the most decadent breakfast ever, whip up one of Dinner, then Dessert’s Shamrock Shakes and serve it alongside these Rainbow Pancakes. Don’t like pancakes? Try these Rainbow Waffles instead! Divide pancake mix into 6 small bowls. Add 1-3 drops of gel food coloring to each bowl (one color per bowl), mix to see color and add more if you want them more vibrant. Pour batter onto preheated griddle and cook a few minutes per side. When bubbling, flip and cook for 1 minute on other side. 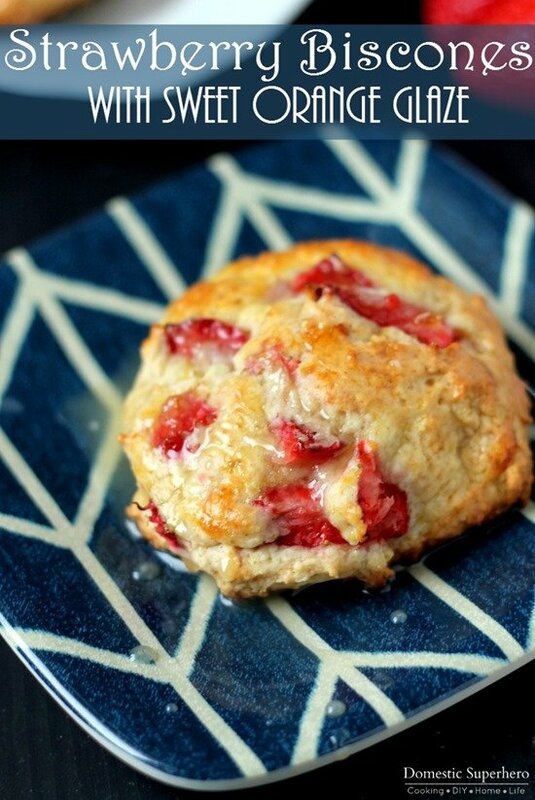 Repeat for all of the batter. Serve immediately and top with syrup, whipped cream, and sprinkles!